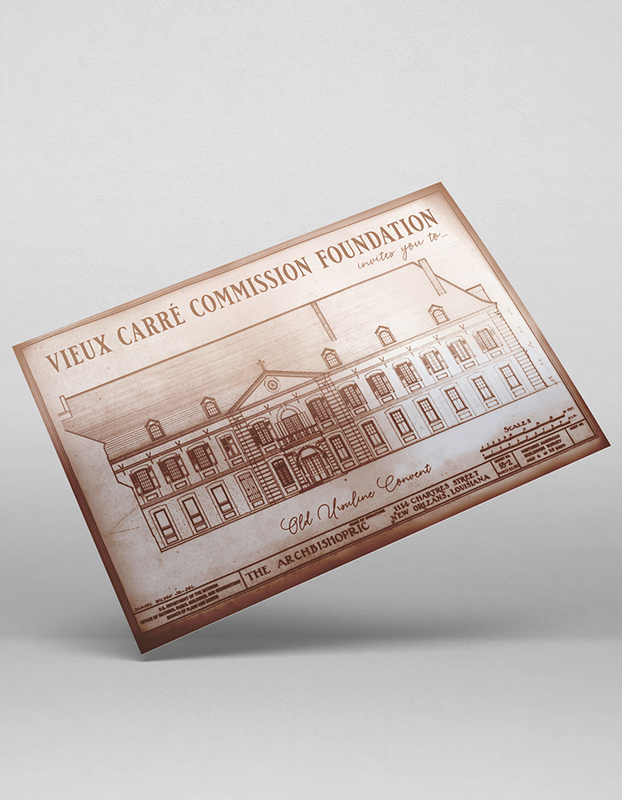 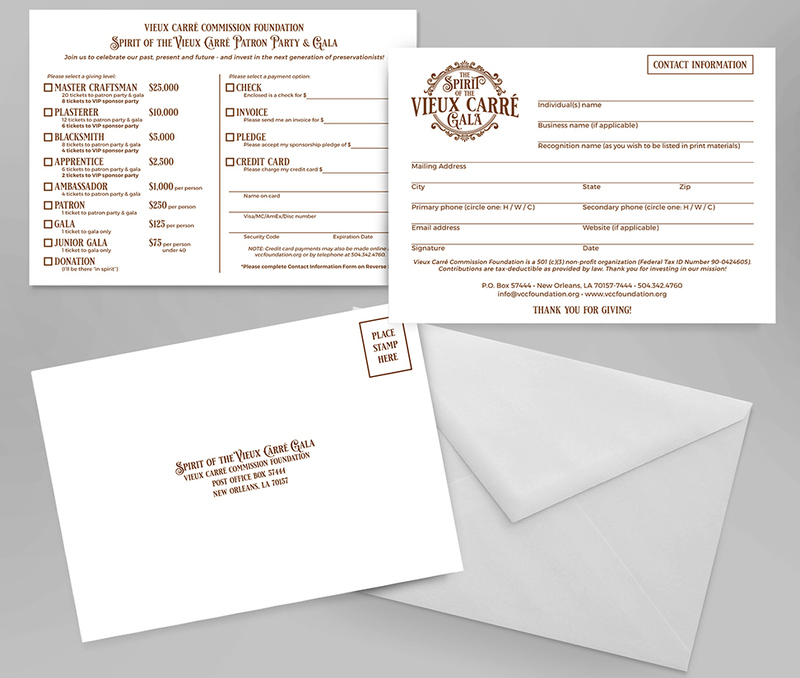 In celebrating the past, present, and future of the Vieux Carré Commission Foundation, an annual gala commenced in October of 2018. 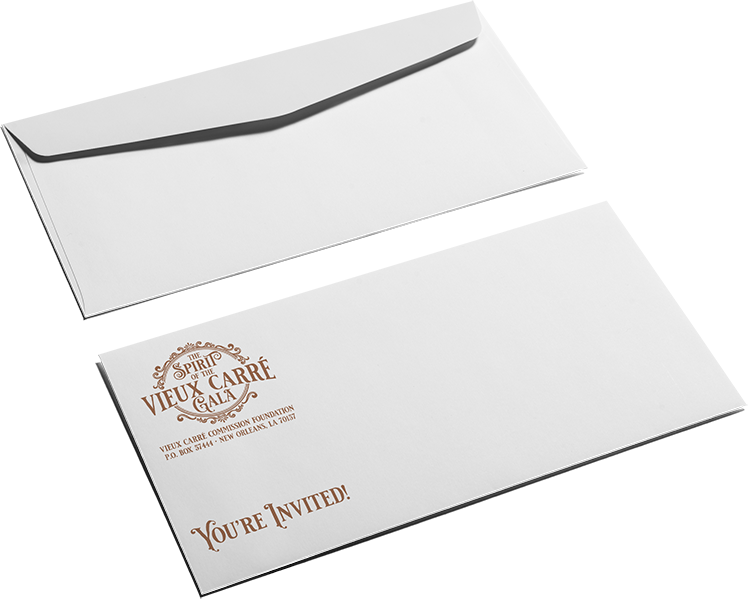 Midnight Boheme was proud to sit on the marketing board and offer her design services in creating the logo, invitation, envelope, and response card for the prestigious event. 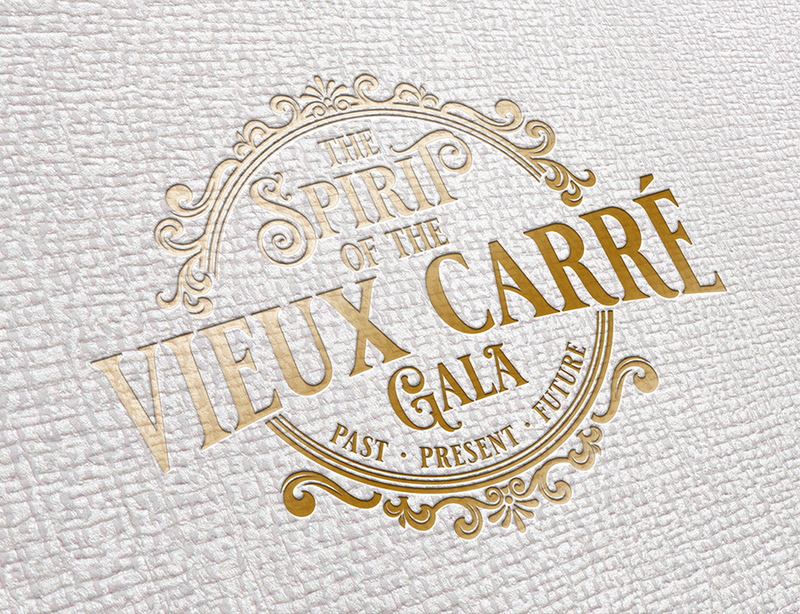 The gala was held at the Old Ursuline Convent in the French Quarter, so the designer recreated an architectural sketch of the historic building for the cover art of the invitation and promotional materials.